On Tuesday October 20th, the Dr. Ameyo Stella Adadevoh (DRASA) Health Trust’s inaugural event brought together health professionals, government representatives, businessmen and women, high-profile individuals, and more to celebrate one year of Nigeria’s Ebola-free status and the heroes and heroines that made it possible. At the fundraising/launch event, held at the Civic Centre in Lagos, DRASA unveiled a public health awareness campaign called #ItStartsWithMe and announced plans and collaborations for 2 projects. Attendees included the Vice President Prof. Yemi Osinbajo SAN represented by the Permanent Secretary of the Federal Ministry of Health, Mr. Linus Awute; Lagos State Governor, represented by his Special Adviser on Primary Healthcare, Dr. Olufemi Onanuga; and Lagos State Commissioner for Health, Dr. Jide Idris. Kaline Akinkugbe and Darey Art Alade provided musical entertainment for the evening and Aderonke Adebanjo from SmoothFM and Oluwaseun P. Olaniyan from NigeriaInfoFM were the MC’s. All donations from the evening will be used to implement DRASA’s vision to support Nigeria’s healthcare system through simulation training in ethics and infectious diseases and outbreak preparedness/response, both of which are urgent needs in the health sector. 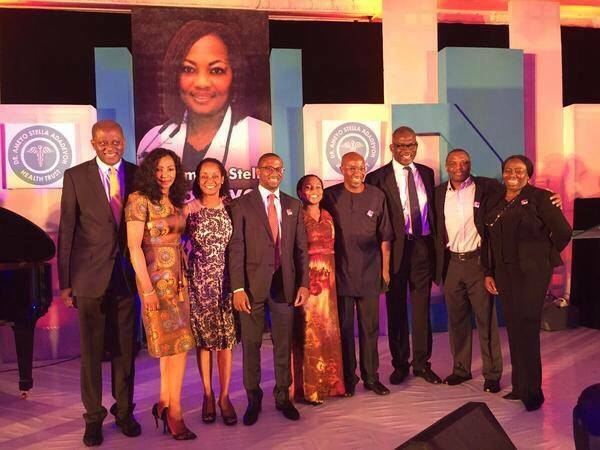 Dr. Ameyo Stella Adadevoh was the doctor who correctly diagnosed and contained the first Ebola patient in Nigeria in 2014. As a result of her keen perception, courage, and steadfastness, all subsequent Ebola cases in Nigeria could be traced to a single path of transmission originating with the first patient. This is what differentiated the outbreak in Nigeria from the outbreaks in Guinea, Liberia, and Sierra Leone, and Nigeria was declared Ebola-free on October 20th 2014. The Dr. Ameyo Stella Adadevoh (DRASA) Health Trust is a nonprofit working with partners and collaborators to improve and advance healthcare in Nigeria, particularly in the areas of infectious diseases and ethics, both of which Dr. Adadevoh gave her life for. DRASA strives to connect funding and resources, implementing organizations and associations, and the areas of greatest need in the health system.